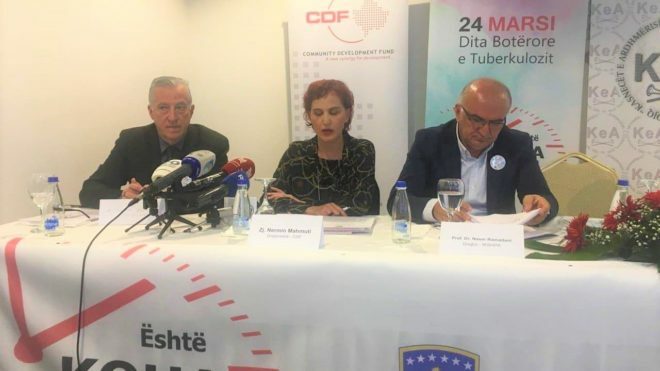 CDF is one of the first initiatives in post-conflict Kosovo, designed to help communities in rebuilding their shattered infrastructure and improving community services. 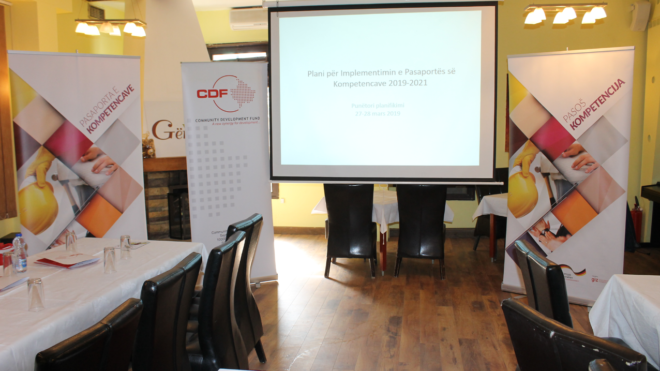 The Community Development Fund (CDF) commenced its activities in November 1999, when it was established in partnership with the Soros Foundation/Open Society Institute. 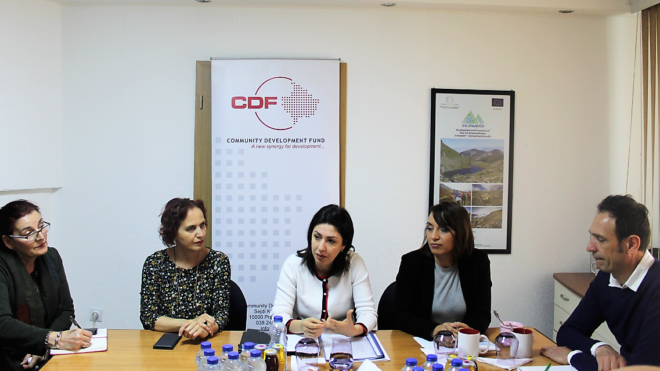 CDF operates as a non-governmental organization with Public Benefit Status, since November 2000 to carry out community development projects through small-scale community investments. It was established as an appropriate tool for offering improvements of living standards in a participatory manner. Over the past nineteen years, CDF has established solid partnerships with local NGOs, development agencies and a number of external donors. It has implemented a program of activities which has earned a high level of recognition as a development agency among the key stakeholders including the government, for its visible impact in achieving its prime goal of poverty reduction and improving living conditions. Through its projects, CDF aims at building the capacities of self-development within the communities, so as to be able to articulate and fulfill their development needs as a community in its whole, or as a certain group within one community. 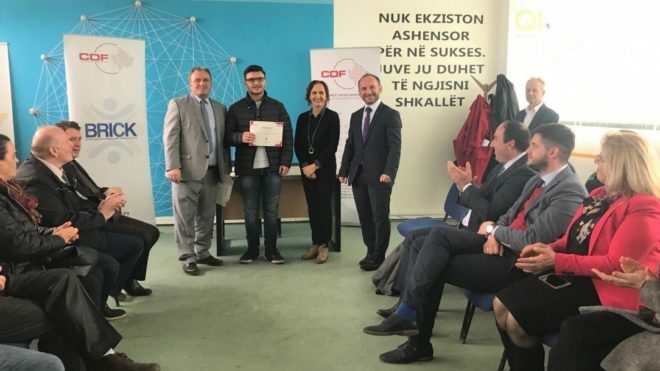 12 trained students by BRICK program find jobs in Ferizaj! Especially in poor, conflict-affected and mountainous communities, where the CDF has developed the capacity to penetrate and engage communities in formulating relevant project proposals. 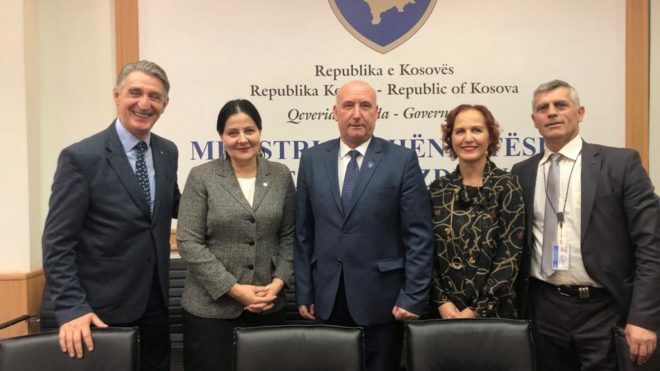 Social Service Projects in response to priority needs of vulnerable and disadvantaged groups in Kosovo. Institutional capacity building projects at the local level to ensure the sustainability of facilities constructed or rehabilitated and to improve social service delivery. Poverty alleviation and employment through offering grants, training and technical assistance to small and micro enterprises all over the country. 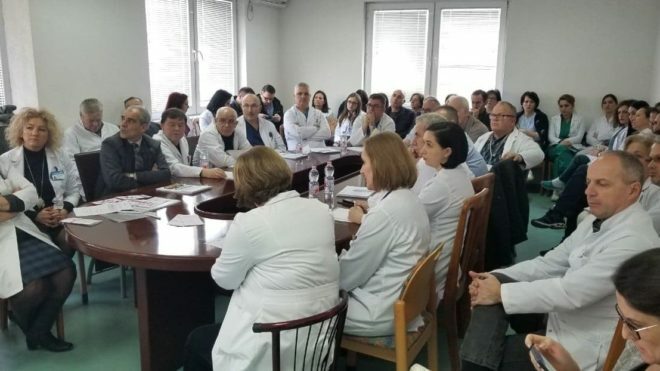 Public health services with the focus on HIV and TB prevention, treatment, control and care. 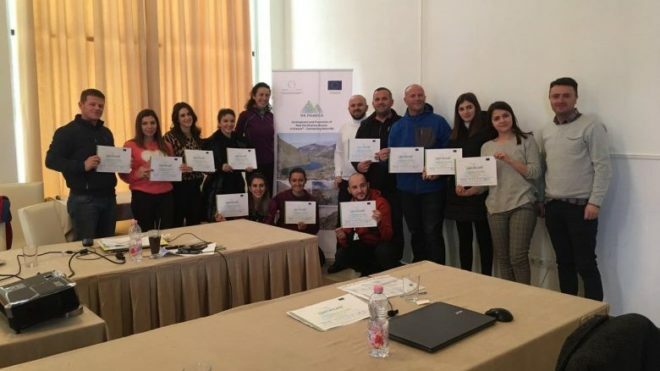 Building Resilience in Individual and Communities in Kosovo.